from manufacturers to distributors to end users. 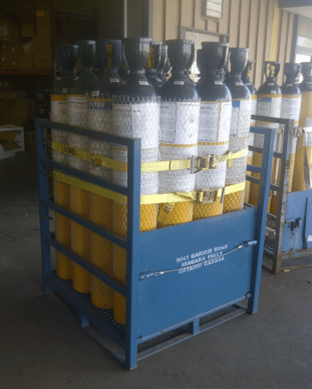 TrackAbout is the global leader in tracking the full life-cycle of compressed gas cylinders. We have focused on this since 2000. Today we track millions of cylinders in dozens of countries. Starting in 2017, we began applying this proven technology to fumigants. 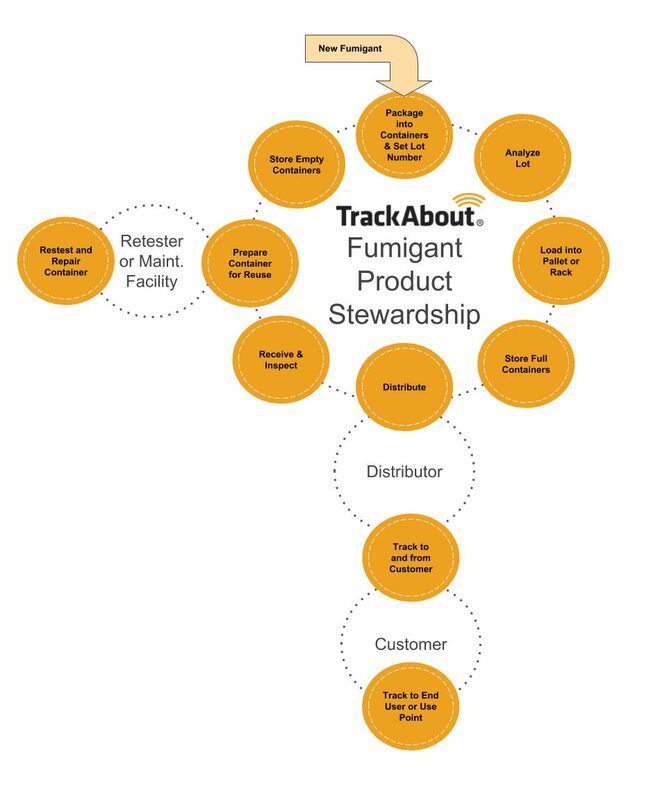 TrackAbout helps our clients achieve product stewardship of chemicals sold in returnable containers. We do this through individual asset tracking. 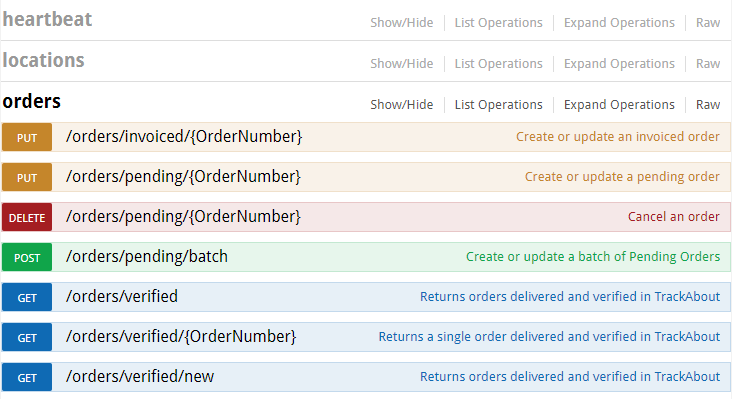 TrackAbout is very flexible. Our chemical inventory software can collect an unlimited number of custom fields and as many scanning points as needed. This allows tracking the full-life cycle of fumigant containers. TrackAbout can enforce safety and compliance rules. The system can act as a product stewardship software and ensure that the right people are doing the right activities in each step. Fumigant containers must be tracked to the point of use. TrackAbout chemical inventory software allows tracking from manufacturers to distributors and to end customers. Each company can use TrackAbout independently or they can be linked together for increased product stewardship. Most of our clients track using simple barcodes attached to their cylinders. 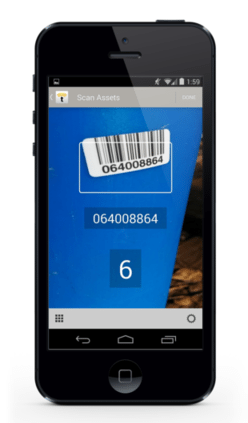 These barcodes are scanned using the camera on an iPhone, iPad, Android or Windows device. The simplicity of an app running on smartphones allows our clients to more easily track through their full supply chain. TrackAbout also supports a full-line of rugged mobile computers with integrated scanners. To speed up scanning, assets can be bundled into barcoded pallets. Only the pallet needs to be scanned, resulting in big time savings. TrackAbout supports RFID, but most clients find that this timesaver avoids the need for more costly and complicated RFID. TrackAbout chemical inventory software can be used as a stand-alone system with no integration. Most projects start off with no integration and later add it once it makes sense. TrackAbout is commonly integrated with existing business systems such as SAP or Oracle. Our team has a lot of experience helping clients with integration.